According to Ojibwe legend, the twenty-three Apostle Islands were formed when the spirit Winneboujou went hunting deer near his home on the Brule River. He had exhausted his quiver of arrows pursuing a stag, which he tracked to what is now Bayfield. There, he watched the deer escape by swimming across Lake Superior. 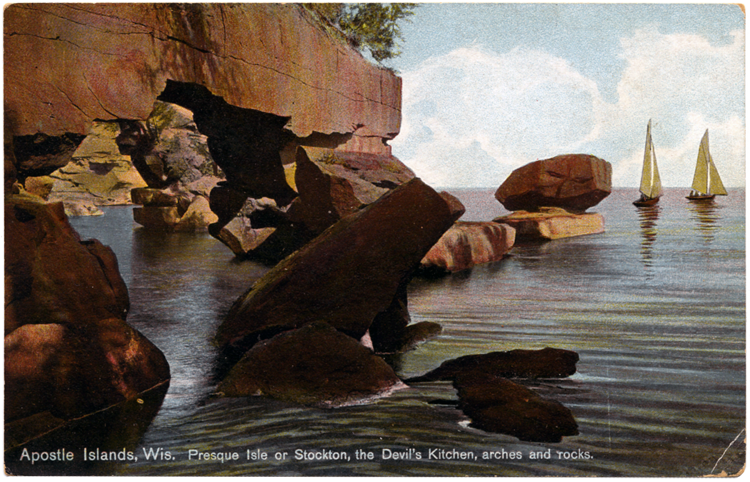 The angry spirit began throwing rocks at the deer, and these rocks became the Apostle Islands. The Ojibwe came here first, setting up camp at what is now the city of La Pointe on Madeline Island as one of the final legs of their great migration. It was most likely early French Jesuits who named the islands the “Apostles”; they had a habit of labeling places with biblical names and were perhaps under the mistaken belief that there were only twelve islands. (The Jesuits called Chequamegon Bay La Baye du St. Espirit, “the Bay of the Holy Ghost.”) By 1744 “Apostle Islands” was in general use. But when he first encountered the islands in the 1820s, explorer Henry Schoolcraft called them the Federation Islands and named each after a U.S. state or territory. His idea never quite caught on (even today’s Michigan and York Islands had different names in Schoolcraft’s plan). In 1854 the Treaty of La Pointe opened most of the land in the region to European settlement. During the mid-nineteenth century the islands were clear cut for the timber industry, their logs floated across Chequamegon Bay to mills in Bayfield, Washburn, and Ashland. 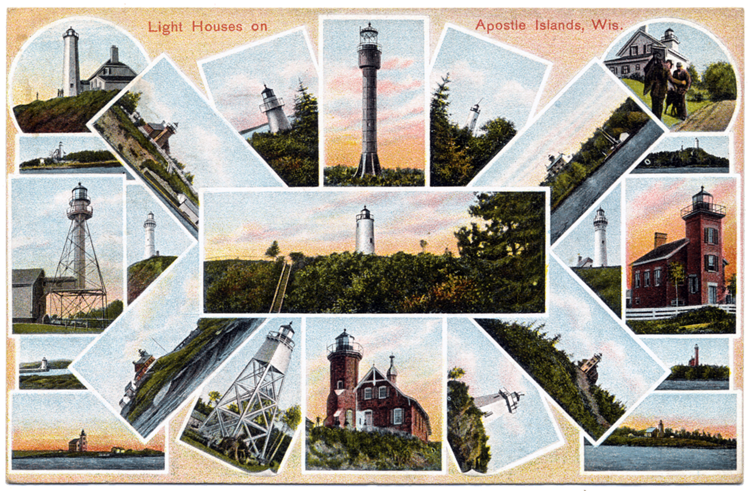 In the 1880s the islands were exploited for their sandstone and quarried on Stockton, Basswood, and Hermit Islands; they closed at the turn of the century when steel and brick became the building materials of choice. Frederick Prentice, called the “father of the Chequamegon brownstone industry,” opened a quarry on Hermit Island and operated other quarries on the mainland.